Now that I’ve shared my bedroom tour from my first apartment, it’s time to head into my “office space!” I use the term lightly because this is actually my dining/breakfast area. Instead of using it for dining, I converted the space into my workstation. I placed one desk each wall, using the one with the board above it for my personal desk and the second for my intern when she was with me. The part that makes me laugh the most? 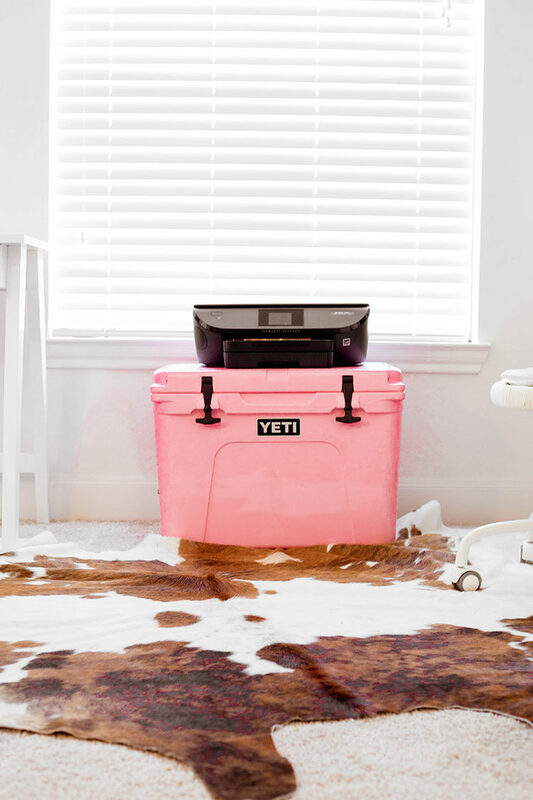 The fact that I used my pink yeti to prop my printer up on! Because my first apartment was so tiny, I really didn’t have another place for the cooler. 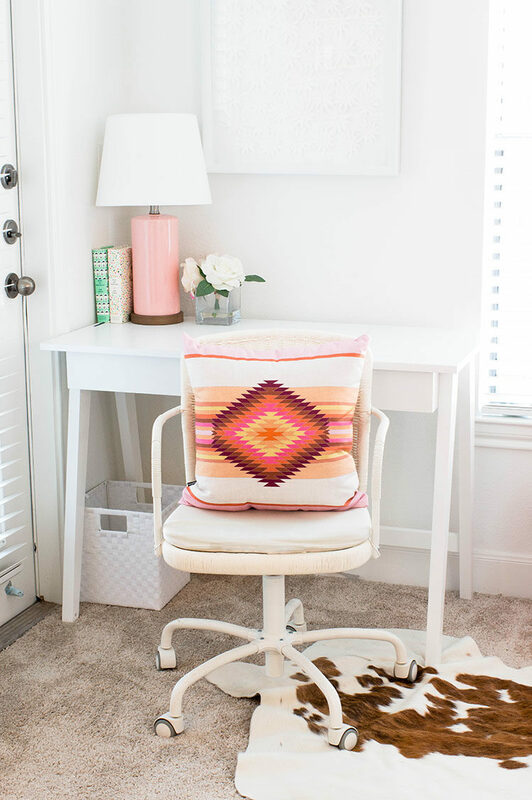 I ended up loving the pop of pink it brought into my office. I finished moving everything over to my new apartment yesterday, and am straight up giddy with excitement. In this new townhome, I’ll actually be able to have a dining area and an office. Ha! Thinking I need to host a little dinner party (pizza, of course) in celebration. I’m having a bit of nostalgia typing this post out because I’m actually completing it over in my high school bedroom at my parent’s house! This is where I lived for a year after graduating from college while I was trying out Lonestar Southern full-time. I am so amazed at the journey the Lord has taken me on through this blog and so unbelievably grateful for each of you being such a part of it! Here’s to new chapters, and a faithful God who carries us through each! Tomorrow I am so excited to reveal my living room from my first apartment. 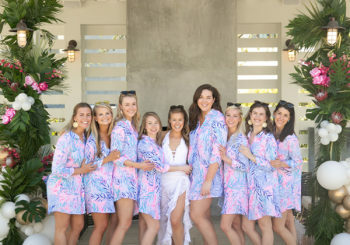 I think you’re going to love it too, so be sure to check back! I love your bulletin board – so cute and inspirational! Amen! Here’s to wonderful new stages full of Grace. 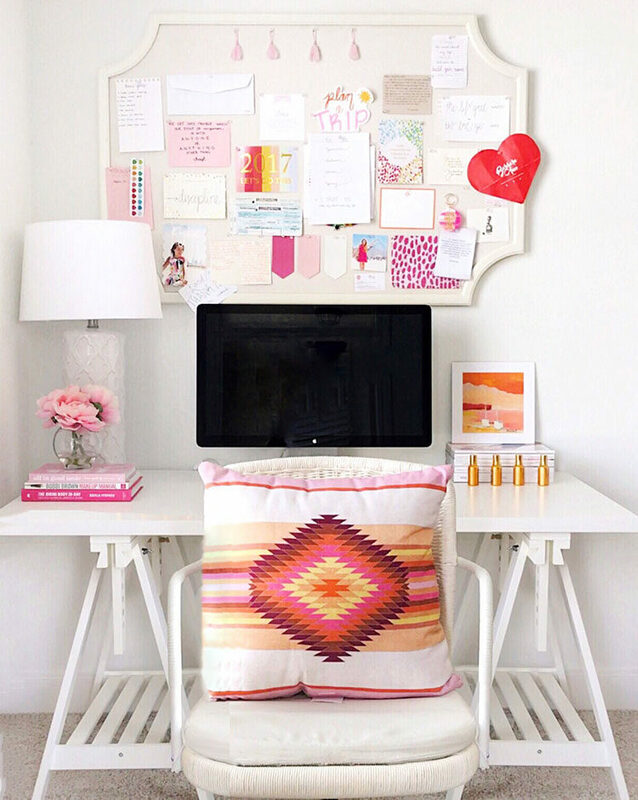 Love your cute office space! The little pops of Southwestern prints are so unique. Love this space! I definitely want to get a cowhide rug for my future space!